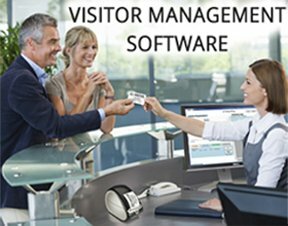 Visitor Management is a web based software that allows you to maintain the record of the visitor. Being Web Based Software, it can be browsed from any part of the world with any internet enabled devices depending upon server availability . Also, Visitor Management Software is designed to give a planned structure to the visitor-employee meeting. It also allows the admin to track the record of the visitors like other details of his belongings he is carrying, the timing of his visiting and going. And also, if he is scheduled to come next, his every details will reflect in the system with his name. The set-up or company where the frequency of visitors are very high, there Visitor Management is pretty useful software. This helps you to maintain the track record of every visitor with each and every details with his photograph. As in the process of initiation of meeting with the employee and visitor, his photograph is clicked to generate a gate pass. Keeping every security reasons in mind, different layer of authentication is made to keep everything secure. In Visitor Management System, there are basically three type of Log-ins. One is EMPLOYEE, who can log in to generate the request for the visitor who is coming to meet him. Second is USER, and that is Security Guard at the gate. He allows the visitor to enter for the meeting, giving him a generated gate-pass. And he is the only person who will sign out him after the meeting. Last log in is ADMIN, who can create any new log-in and can view the status of visitor. Admin can also give authority of gates/entries to security guards. Admin can view status and report of visitors through his account and also can create new users.